Kyoto is a place like no other on the planet. 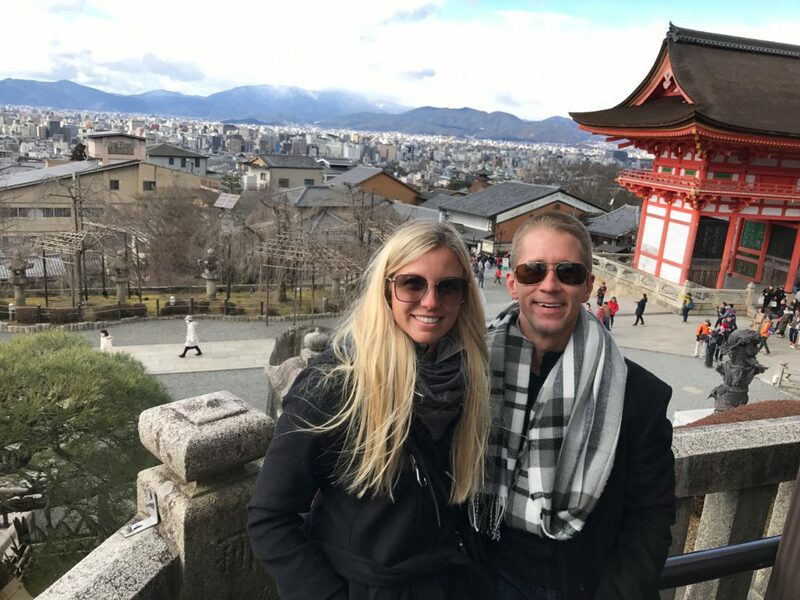 Once the capital of Japan, it’s rich in history with a countless number of temples, gardens, imperial palaces, Shinto shrines, traditional wooden houses and Geishas! Do note, Japan is one of the most expensive countries in Asia, so budget accordingly! 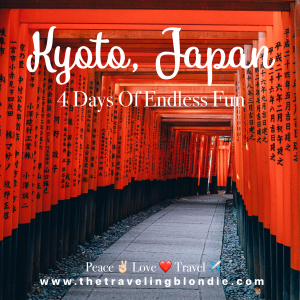 You can see all the major sights in 4 days, but I’d suggest 5 full days here, just so you don’t have to rush and can maybe catch a day trip to Hiroshima or one of the other nearby cities! 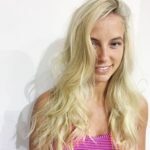 Looking for info on other cities in Japan? 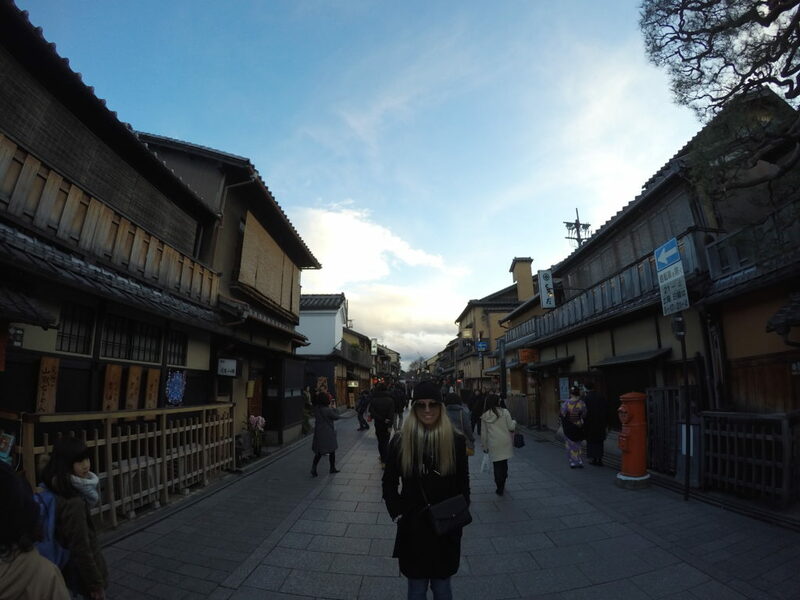 Check out my Blog Posts on Osaka, Tokyo, Niseko and Sapporo. Kyoto is best visited in the fall (October, November) and spring (March, April, May). We visited in February and it was cooooolllldddd, but there were very few tourist so we had many places all to ourselves. We did manage to see a few Cherry Blossom trees beginning to bloom, which was awesome! 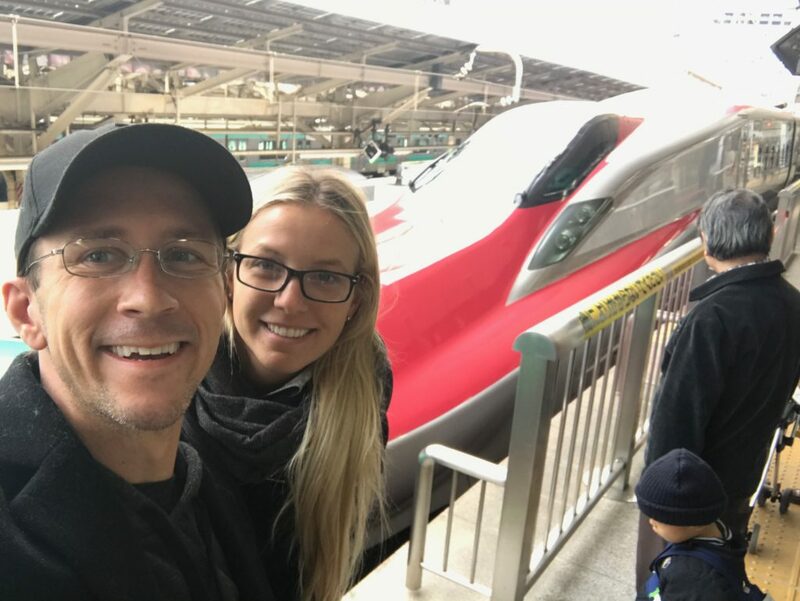 The trains in Japan are incredible! Japan Rail (JR) Pass: This is a MUST purchase if you’re planning to travel all over Japan. It MUST be purchased prior to arriving in Japan and expires in 7, 14 or 21 (your choice) days from the date of activation upon arrival in the country. The JR Pass can be activated at any JR office, located at all major train stations throughout the large cities. 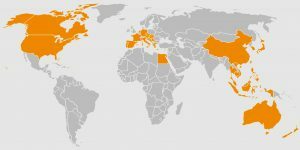 There are different regions of passes, but I suggest to get the N-Pass (Nationwide), which worked well for the 14 days and multiple cities we explored. The cost ranges from $200USD-$500. Be SURE to reserve your seats on long journeys on the bullet trains (Kyoto to Tokyo, Tokyo to Sapporo) ahead of time at the JR stations at no additional cost. There is no need to do this for short distances. Bicycle: Kyoto is a bike-friendly city and you can rent bicycles all over the city. 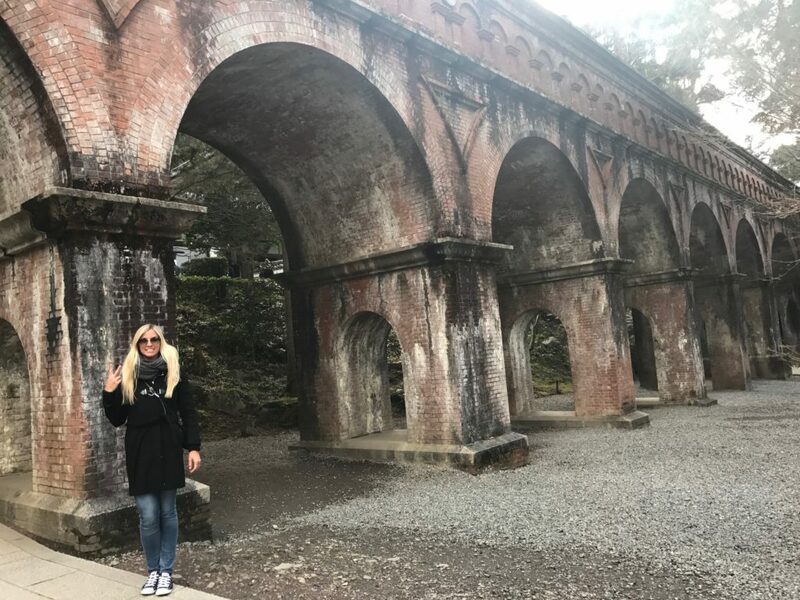 A UNESCO World Heritage Sight, Nijo Castle was built in 1603 for the first shogun Tokugawa Leyasu ruler, but, sadly, he died before the structure was fully completed. This is a must see, although was one of our least favorite. Cost of entry is $600 Yen ($5.40USD). It is located just a short walk from Nijojo-mae Station (Tozai Subway Line). 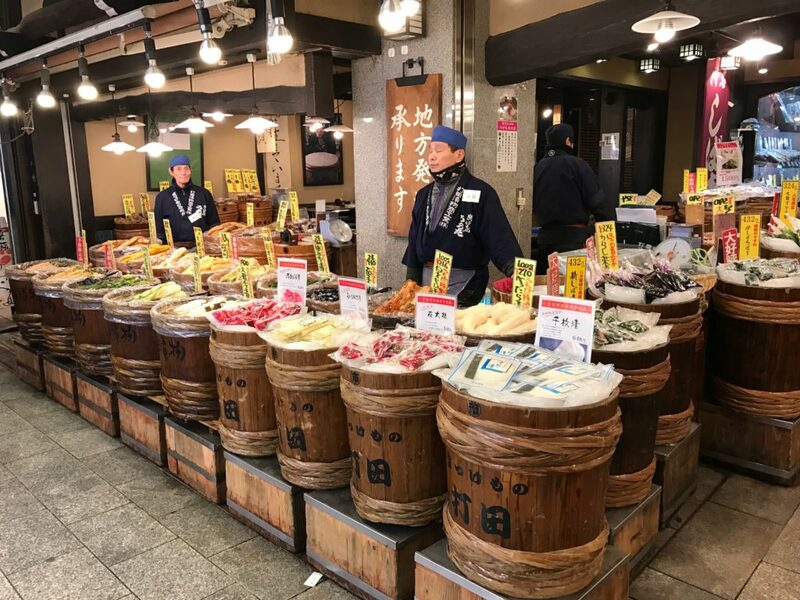 Nishiki Market is a really cool, outdoor, covered, five-block long shopping street with over one hundred shops and restaurants. Here you can purchase street food, sake, fresh seafood, souvenirs, sushi and much much more! 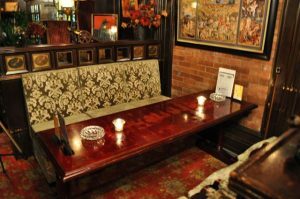 It’s located just a few steps from Shijo Station (Karasuma Subway Line). 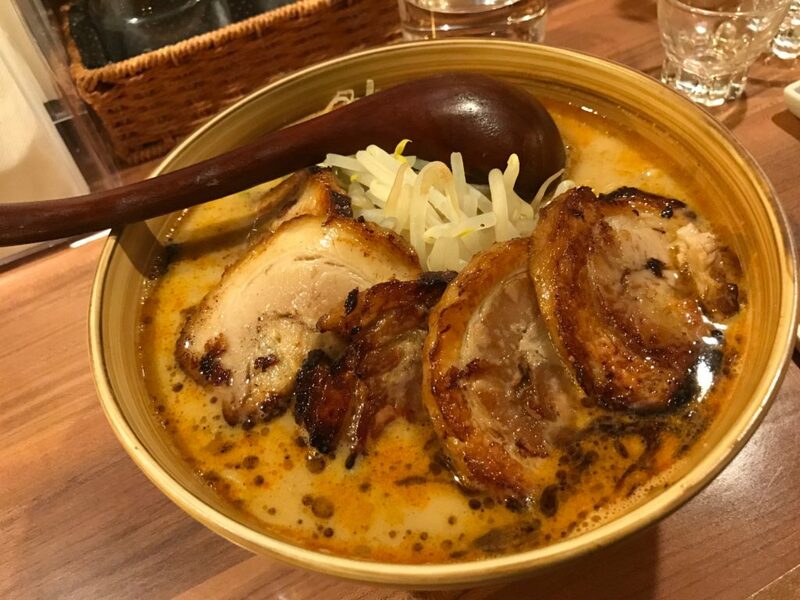 If you only go to one restaurant that I recommend, you MUST eat at Ramen Sen No Kaze! This is one of the BEST ramen’s we’ve ever eaten (besides in Niseko). It’s a small restaurant that is family owned and run and it is VERY popular, so go early/between meal times, otherwise you’ll have to wait for 45+ minutes. Sento Palace was constructed in 1630 as a retirement palace for Emperor Gomizuno and later housed subsequent retired emperors. It’s closed to the public, but tours are held 4 times daily. 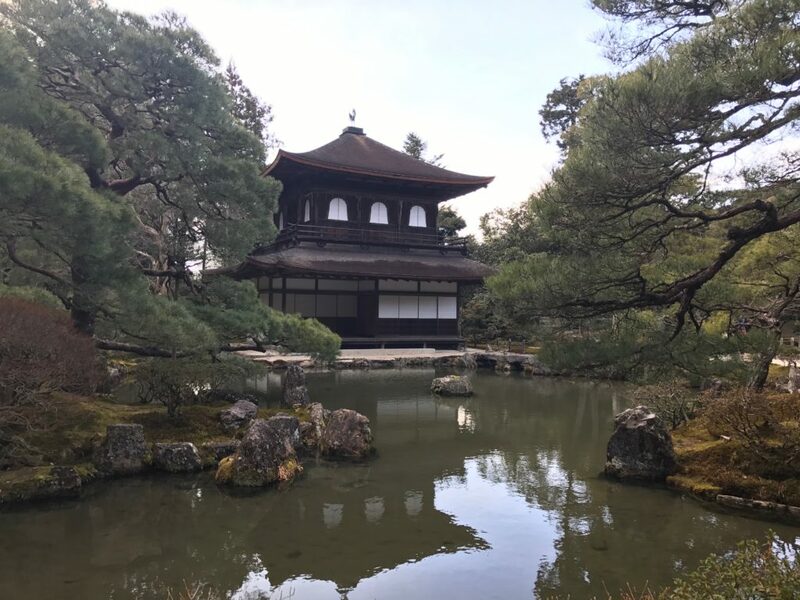 You’ll need to apply for a tour in advance with your passport at the Imperial Imperial Household Agency’s office in Kyoto Imperial Park. 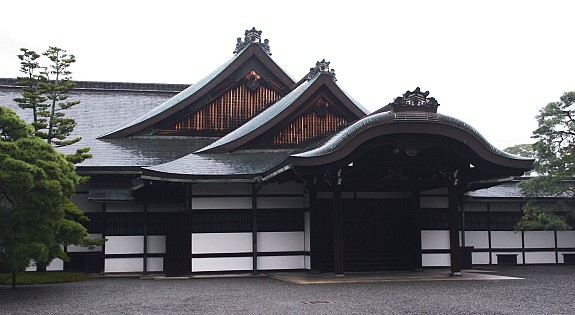 The Sento Palace is located just next to the Imperial Palace. 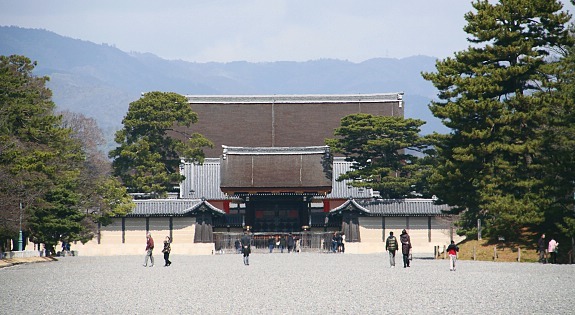 The Kyoto Imperial Palace is the former ruling palace of the Emperor of Japan, which has now been moved to Tokyo. Entry is free. The Imperial Palace is located just a 10-minute walk from Imadegawa Station on the (Karasuma Subway Line). Pontoncho is a super fun street filled with shops, bars and restaurants. It’s a great spot to bar hop! It’s a 5-minute walk from Kawaramachi Station (Hankyu Line) or a 15-minute walk from Shijo Station (Keihan Line). OC Osteria Colon is such a hidden gem in Pontocho. It’s quaint and small, with perfect lighting and ambiance. The chef/owner, who also dubs as the waiter and bartender is SUPER kind and friendly and was trained in Florence, Italy prior to opening this restaurant, which explains why the food is DELICIOUS! Try the steak and bolognese, it’s mouthwatering! After having a delicious meal, head just a few doors down to Hello Dolly, a dimly lit jazz bar with a great vibe. You’ll love the atmosphere in here, it’s super cozy. 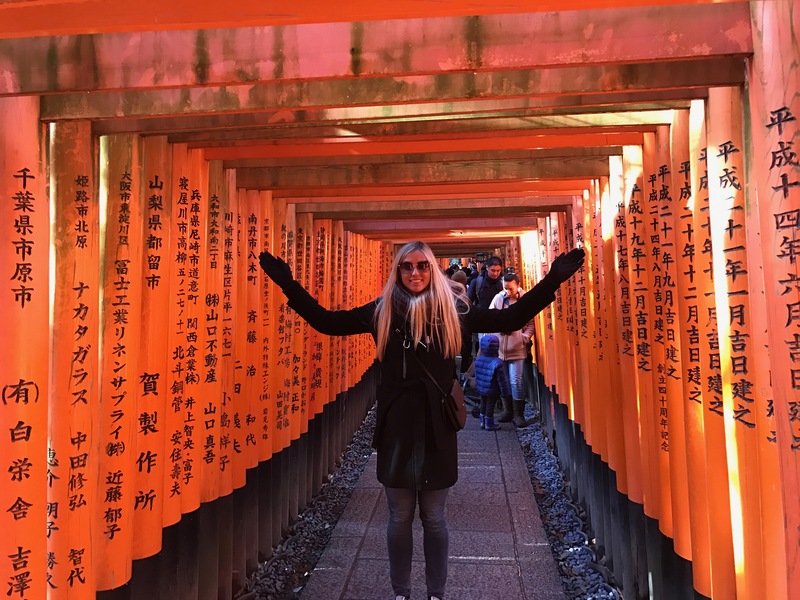 Fushimi Inari is one of the top sites to see in Kyoto. Fun fact, Inari is the God of rice. This is a Shinto Shrine that sits at the base of Inari mountain and is filled with thousands of tori (shrine gates), all donated by Japanese businesses. Go early to this one, as it gets super crowded because of it’s narrow passages. It’s located just steps off the JR Inari Station (JR Nara Line). 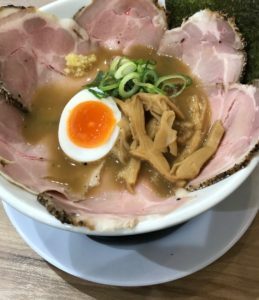 Hiwa Mata Noboru Ramen is a good, quick ramen spot (but not our favorite) near Fushimi Inari Shrine. Vermillion Espresso Bar is a GREAT coffee shop nearby Fushimi Inari. 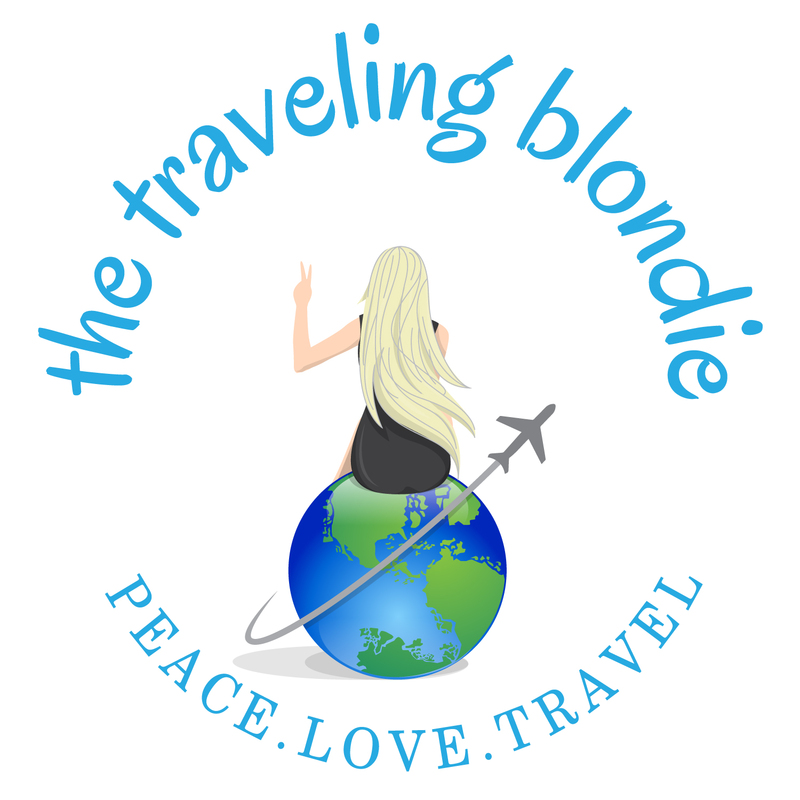 Their staff is especially helpful and the coffee and atmosphere are excellent! 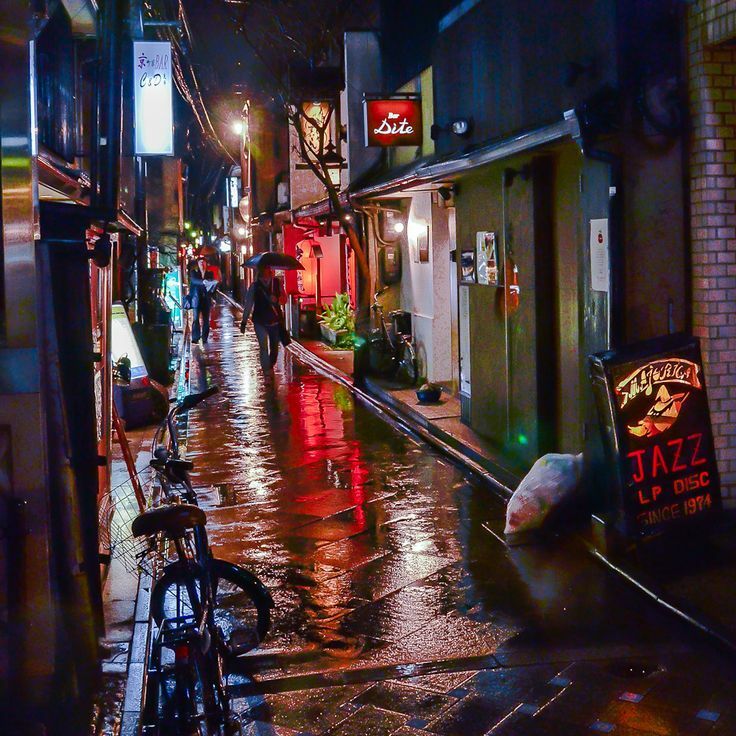 Gion is the famous entertainment district of Kyot. 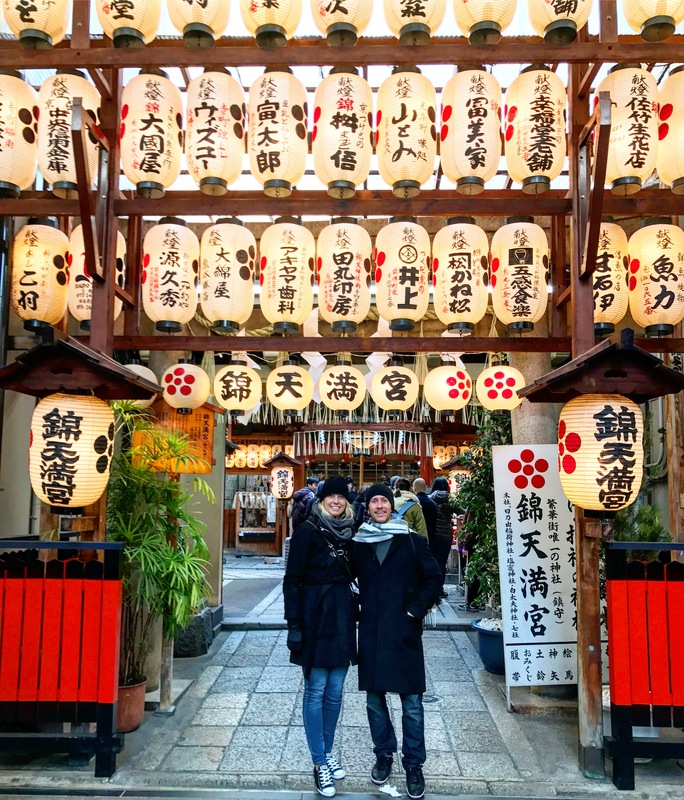 It’s a cobblestone street filled with geishas and is a must see. I loved watching all the beautiful geishas in their gowns prancing around the street. Many tourists dress up as geishas and can be seen roaming around as well. Shabuzen Restaurant is totally unique, with waitress’ dressed in Kimonos, and an all you can eat menu of meat and vegetables served in Shabu Shabu form (hotpot). It’s definitely an experience worth doing! 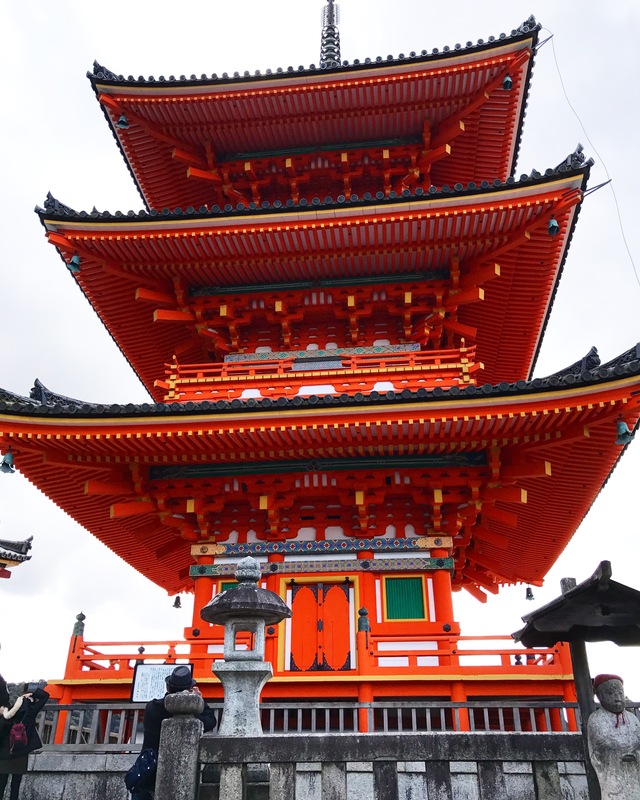 Kiyomizudera is one of our top favorite sites in all of Kyoto and is a UNESCO World Heritage Site, constructed in 780. The temples name translates to Pure Water Temple. Be sure to see the Ottowa Waterfall at the base, where visitors can use cups attached to long poles to drink from them. TIP: Go first thing in the morning when they open, it gets crowded in the afternoon! 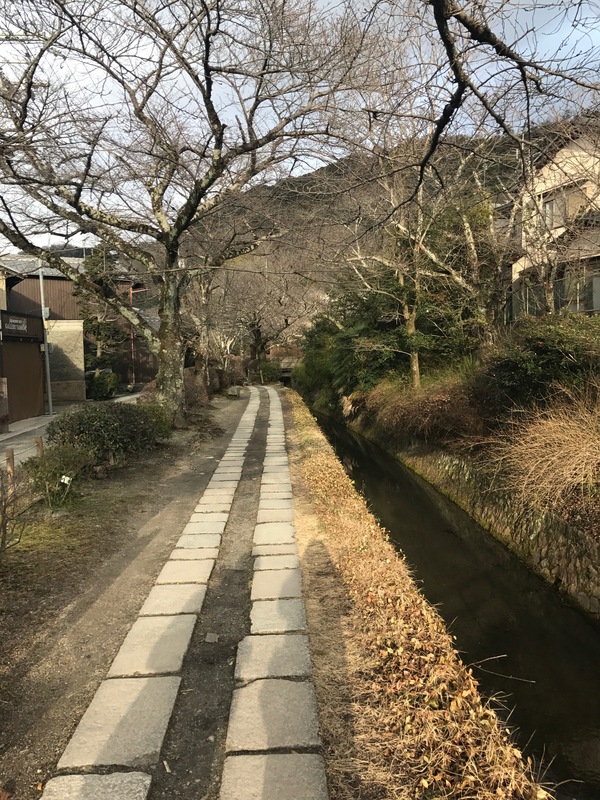 It’s located a beautiful 20-minute walk from Kiyomizu-Gojo Station (Keihan Railway Line). Cost of entry is $400 Yen ($3.60USD). 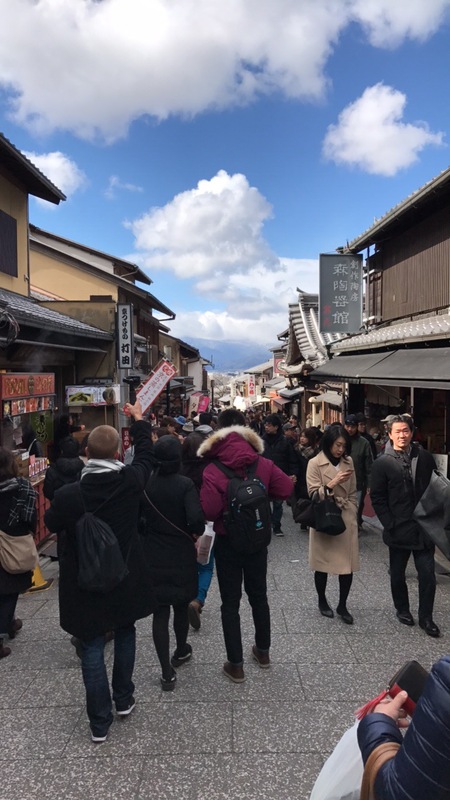 Upon leaving Kiyomizudera Temple, you’ll wind along the beautifully preserved historic district of Higashiyama, with its narrow cobblestone streets, wooden shops and endless merchants selling authentic Japanese items and souvenirs for purchase. I absolutely adored this street, although it was crowded! 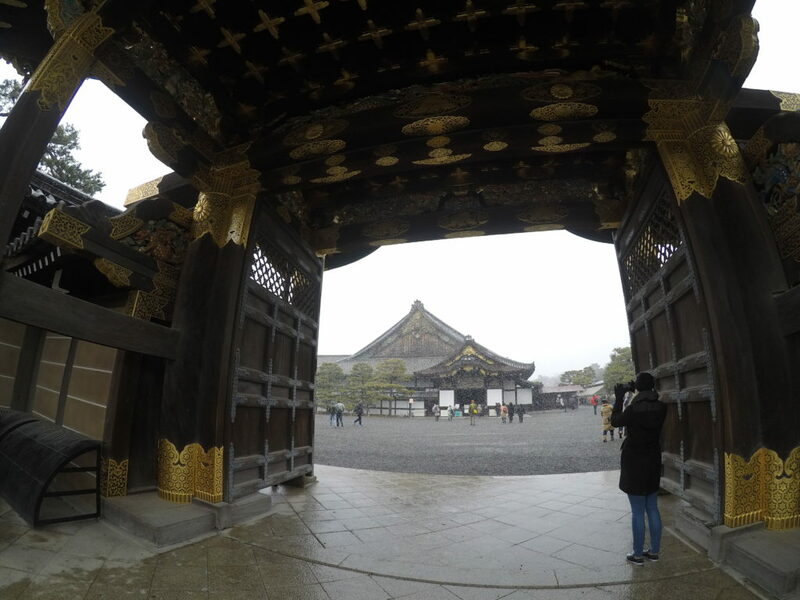 One of the most popular Buddhist sects in Japan, Chion-in Temple houses the largest wooden gate (Sanmon Gate) in all of Japan. The gate measures 78 feet tall and 164 feet wide and was constructed back in the early 1600’s. Cost of entry is free (yay!) and it’s located a 10-minute walk from Location: 10 minute walk from Higashiyama Station (Tozai Line). Nanzen-Ji Temple is one of the most important zen temples in all of Japan. I must admit, by the time we got to this temple, I was getting ‘templed-out,’ so we didn’t enter. Cost of entry is $500 Yen ($4.50USD). It’s located a 10-minute walk from Keage Station (Tozai Line). 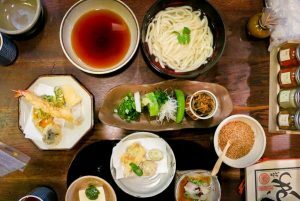 Junsei Restaurant is a vegan lovers paradise. Imagine eating traditional tofu while overlooking a giant Japanese garden. The Philosopher’s Path is a walking path that follows along a canal lined with cherry trees. It’s absolutely calm, quaint and picture perfect. During the cherry blossom season, it is truly a sight to see and I’m so bummed we missed it by just a few weeks! Entry is free and it Runs between Ginkakuji and Zanzenji neighborhoods. It’s a 10-minute walk north of Nazenji’s main temple. There are signs marked everywhere, making it easy to find. 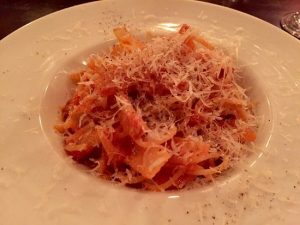 Omen Restaurant literally translates to ‘noodles’ and that is exactly what you’ll get here. Their signature dish is a bowl of delicious, thick udon noodles, served with either hot or cold broth. 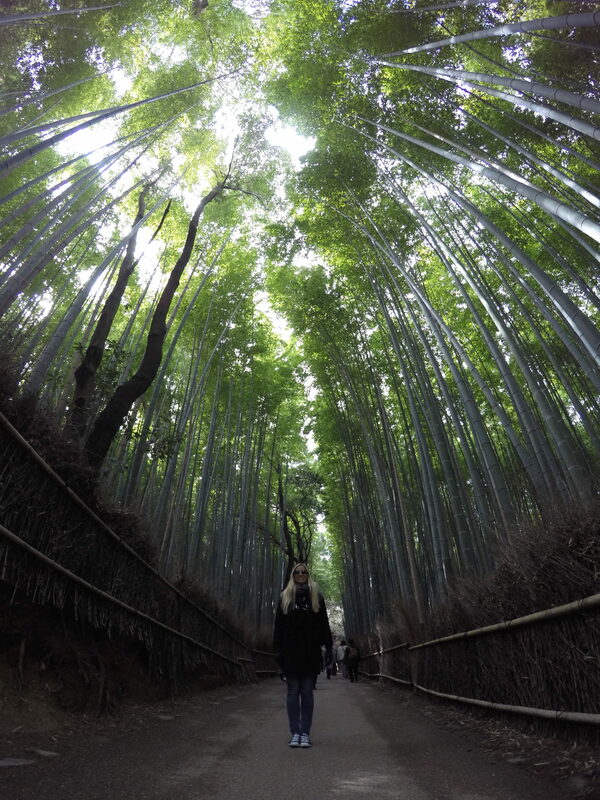 Arguably the most popular tourist attraction in all of Kyoto, the Bamboo Forest is entirely surround with tall bamboo stalks. It is like being in an indescribable dream. Initially, upon entering the forest, I was disappointed because we hadn’t followed along the pathway to get to end, where to true giant bamboo stalks are! Be sure you find that area! Entry is free and it’s located 10-minutes walking from Saga Arashiyama Station (JR Sagano Line) and 15 minutes walking from Arashiyama Station (Henkyu Railway). 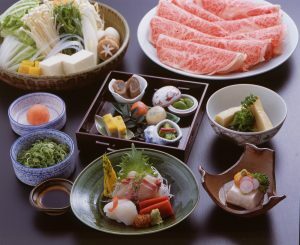 After roaming around the bamboo forest, grab lunch or dinner at Otsuka Restaurant,which has arguably the best steak around. 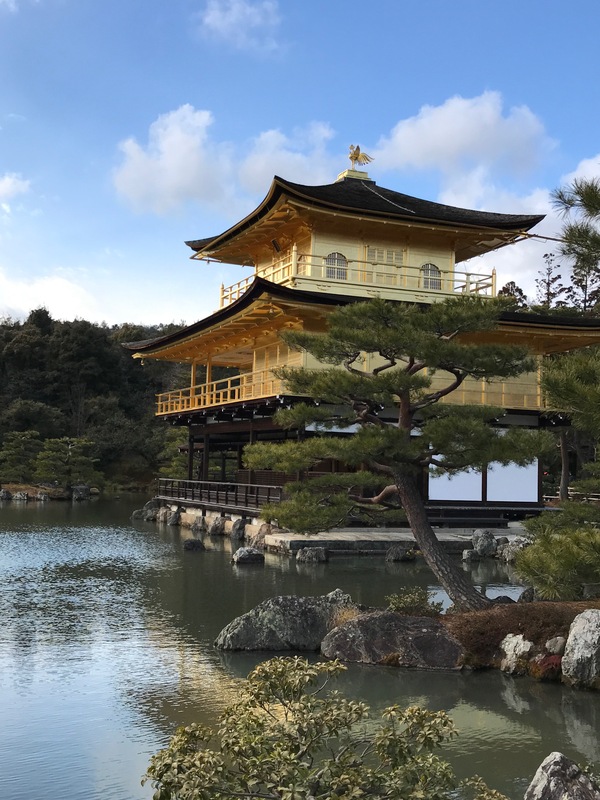 Kinkaku-Ji Temple is an absolutely beautiful zen temple, built over a large pond, that is entirely covered in gold leaf. This temple is located off the beaten path and we had to take several different trains to get there and then walk super far (I suggest taking the taxi after you get off the train). Cost of entry is $400 Yen ($3.60USD). 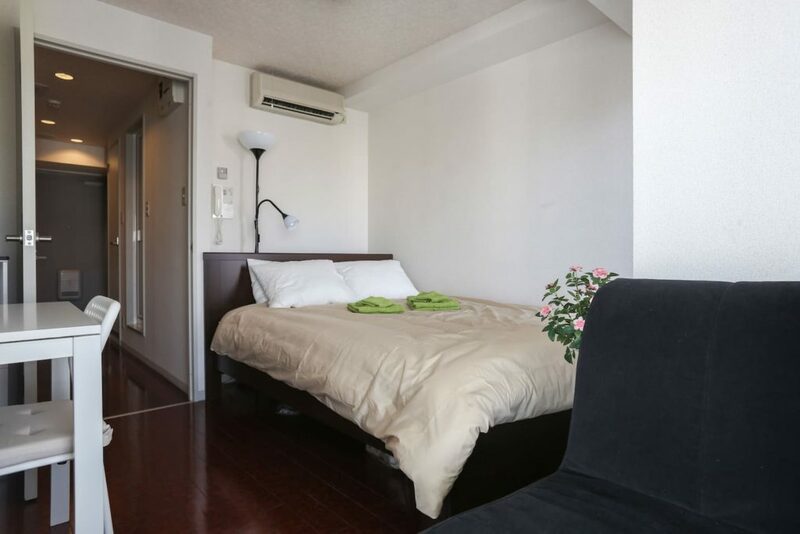 It’s located 2 miles (3km) walking from Kitaoji Station (Karasuma Subway Line). We walked but you can take a 10-minute taxi ride for approx 1000 Yen ($9USD). 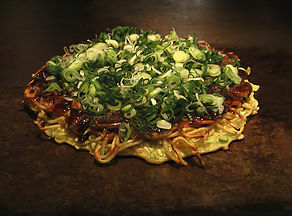 For friendly staff and delicious okonomiyaki (Japanese savory pancake) cooked right in front of you, Okonomiyaki Katsu is the best spot! Do note that they close from 2pm-5pm. Considered to be the most beautiful street in the city, Pontoncho is a GREAT street for eating and spotting geishas. There are countless restaurants on this street, but I’d 100% recommend OC Osteria Colon for dinner and drinks at Hello Dolly. Hello Dolly is a dimly lit jazz bar with a great vibe. You’ll love the atmosphere in here, it’s super cozy. For affordable, delicious Japanese steak, Steak & Wine Nikuya Ginjiro is THE place to go. There’s a steak for every budget here. 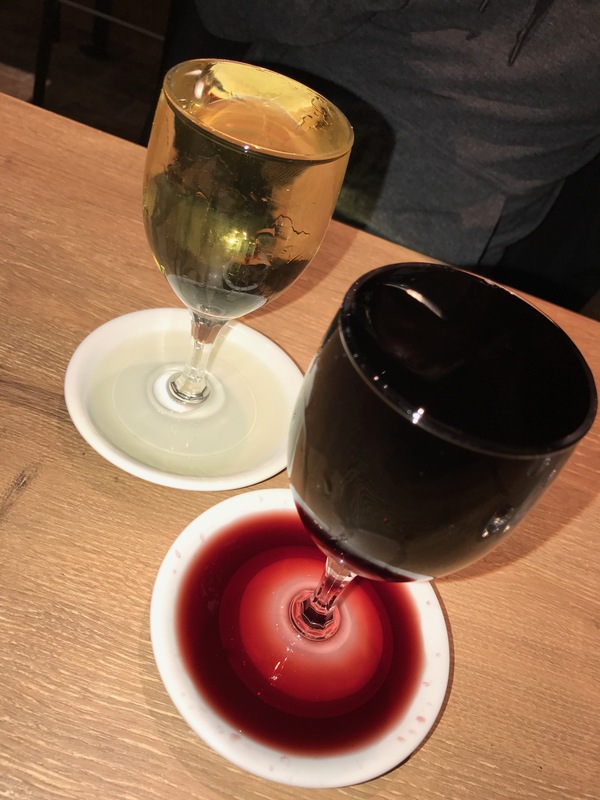 Did I mention that they have overflowing wine glasses as well? The Kobe beef is on point, as well as the service. 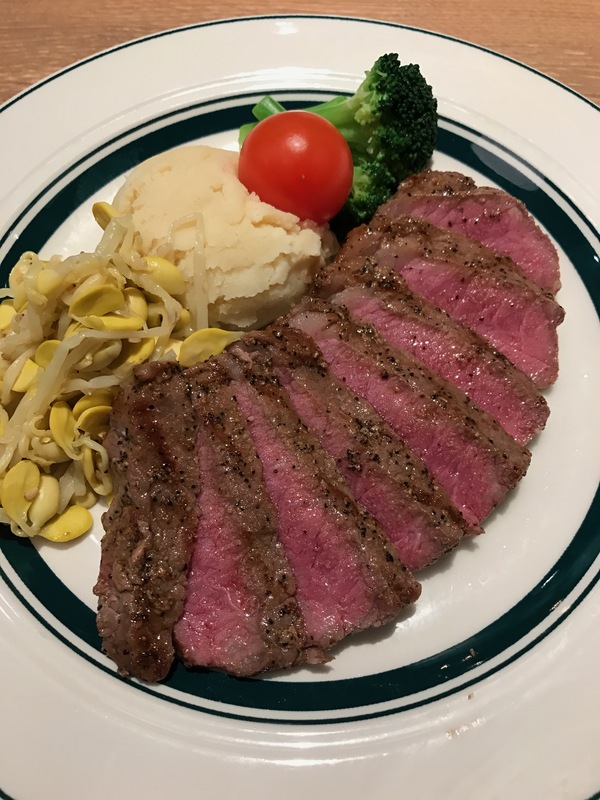 Arguably the best steak around, Otsuka Restaurant is a great restaurant to visit after roaming around the Bamboo Forest and working up an appetite. 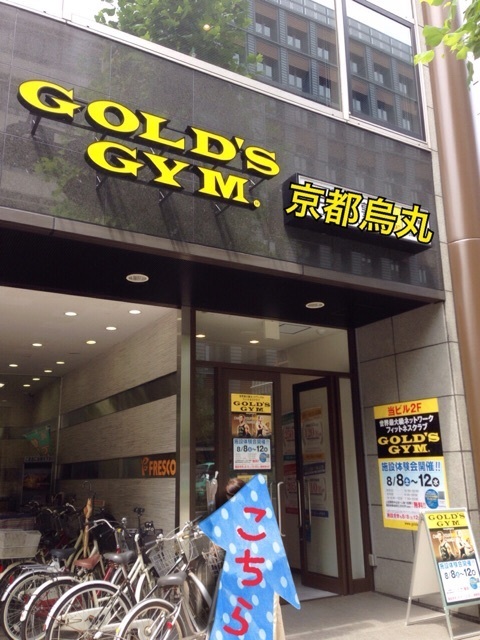 Gold’s Gym is located all over Osaka, Kyoto and Tokyo. With convenient hours, this is your best bet for getting in a good workout. A one day pass will cost you $3000 Yen ($27USD). Luckily they had a New Years Special and we purchased 2 weeks for $30USD. Note that the rules in these gyms are VERY VERY strict. Large tattoos are NOT allowed and shoes must be removed prior to entering the locker rooms. Be sure to bring your passport. Map out where you’re going to eat prior to arriving at your sites for the day. Sometimes we’d get stuck searching for a while and ending up with only Japanese menus in restaurants, which was a bit challenging, but all part of the fun. 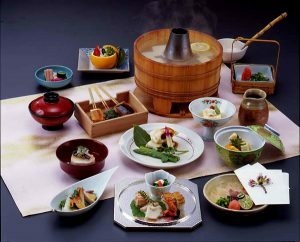 Many restaurants add a cover charge of 300-500 Yen ($3-5USD) per person while dining in and there’s no way around it. Great Day Trips from Kyoto are Osaka, Kobe, Hiroshima or Nara. In train terminals, you will often hear a bird song, which is used to guide blind passengers towards exits. 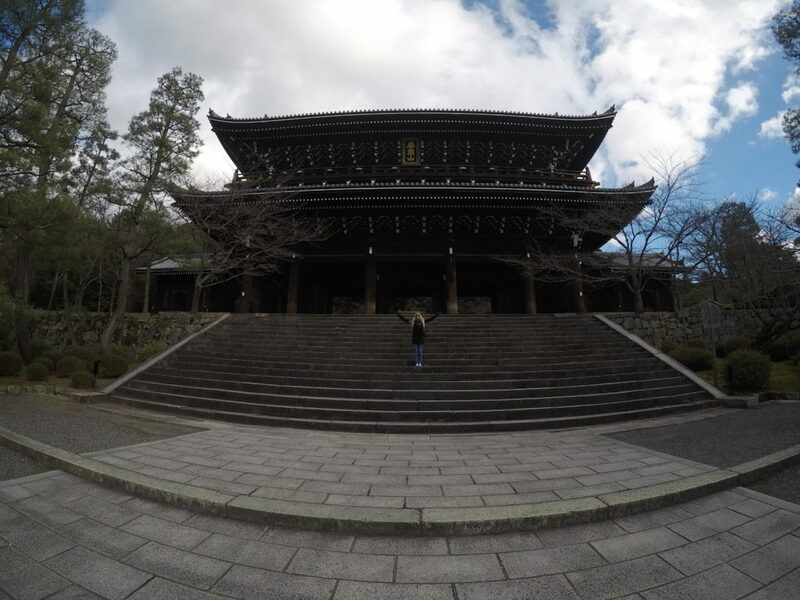 There are over 1,000 Buddhist temples in Kyoto.